Patricia Dagorn, 57, was convicted of killing two men found dead in 2011 on the Cote d'Azur and of drugging two others. Prosecutors say she attempted to enrich herself by seducing older men she met mostly through a dating agency. Nice: A French woman dubbed the "Black Widow of the Riviera" was jailed for 22-years Thursday for poisoning four wealthy elderly men, two of whom died. The "Black Widow", who denied all the charges against her, did not flinch as the verdict was handed down. Dagorn is already serving a five-year prison term for theft, fraud and sequestration involving an octogenarian in the French Alps in 2012 who had agreed to let her live with him in exchange for sexual relations. One of the men she poisoned, 91-year-old widower Robert Vaux, told reporters at the courthouse on Monday that Dagorn "was like a ray of sunshine in winter. When you are with a younger woman you know it won't last but you don't deny yourself the moment unless you're a masochist". The prosecution team called her a "perverted narcissist" while the defence spoke of a "victim" of loneliness. Attorney General Annie Brunet-Fuster described Dagorn as "not psychotic but psychopathic". 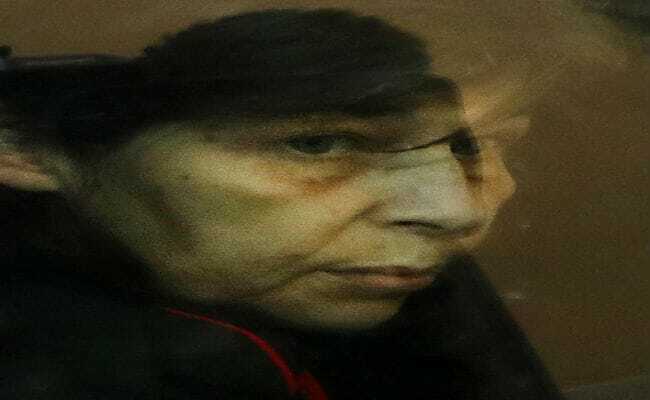 Police began suspecting Dagorn after the body of Michel Kneffel, a man in his 60s with whom she had been living at a residential hotel in Nice, was discovered in July 2011. 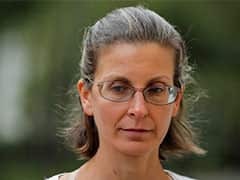 No charges were filed at the time, but the investigation was reopened the following year after police found vials of Valium and personal documents belonging to about a dozen different men among her belongings. The documents included IDs, bank account details and health insurance cards. Investigators then followed the trail to another suspected murder case, that of Francesco Filippone, 85, whose body was found in his bathtub in an advanced state of decomposition in Mouans-Sartoux, outside Cannes, in February 2011. Dagorn had earlier cashed a cheque from Filippone for 21,000 euros ($25,600), money which she said was a gift to help her open a jewellery shop. Police now think Dagorn may have met at least 20 men, after arriving on the French Riviera in 2011, mainly via a matchmaking agency. Vaux, comfortably retired but lonely since the death of his wife, brought Dagorn to live with him in early 2012 in the coastal town of Frejus. When he was at his lowest ebb, Dagorn wrote to his solicitor, asking to be written into his will, according to Vaux. He and another man whom Dagorn is accused of trying to poison, Ange Pisciotta, 82, joined the case as civil plaintiffs. Dagorn, who has a law degree, had already been handed a one-year suspended prison term in a case involving her ex-husband who was found guilty of fraud. In 2013, her youngest son told a local newspaper that he was not surprised by the accusations against his mother. "She has always been obsessed with quick and easy money," the son, identified only as Guilhem, told Nice Matin daily.